I already have a domain name. Can I still use it? Can MIBDesign update my site when needed? Can I set up additional email accounts than what is provided? Are there any penalties to canceling service? How can MIBDesign help my business? I am located far from your immediate area. Can I still have MIBDesign build a website for me? I am a merchant seller. Would I be able to sell my items online? I would like my business to appear in search engines. What is the process of having my business on the map? MIBDesign was established to allow everyone to create a great website without the technical knowledge associated with HTML. 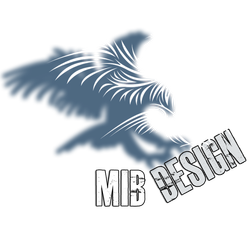 MIBDesign specializes in the area of web design, hosting, promoting businesses, and photography. Our purpose is to satisfy our clients - allowing them to use the proper and necessary tools to create a successful website. Please visit the Packages & Features section of the site to learn more. I already have a domain. Can I still use it? Of course! We work closely with various domain providers so the transition to our hosting provider should be seamless. Because it is an existing domain, account information may need to be provided to access the account for set-up. If you do not have a domain, do not worry. We can provide domain names at very low cost if not already bundled in your package. It all depends on the site. A basic site may take as little as a week while a more advanced site may take up to a month to create. A custom site includes banners, logos, backgrounds, photography, etc. which can undoubtedly prolong the build process. Yes. The purpose of MIBDesign is to allow everyone to create their own unique site. A basic template will be provided so that you may edit it accordingly. More advanced sites require some knowledge of HTML to get a desired final product. Yes. Although some companies prefer the "set and forget" sites which are updated once in a while, you will be given access to your personalized editor so that you may make changes when needed. Yes. It is currently possible for us to update your site monthly provided that Worry-Free Updates is included in your plan. Yes, additional email accounts can be purchased for a low monthly fee. Please contact us to discuss the current rate. Yes, there is a work agreement that details what service is to be done and legal terms to protect both parties. We do not believe in penalty fees other than what has been agreed upon in the work agreement. We believe our clients have the right to choose. Therefore, there are no unnecessary cancellation fees other than what is agreed upon in the work agreement. For example, a client chooses a domain name for the term length of 3 years. The client cancels service at 2 years of service. The client will be responsible for the remainder of 1 year due to ongoing costs associated with the domain. We provide flexible payment options. Depending on what is right for you, you will receive an invoice online, by mail, or email. Payment options are as follows: Cash (in person), Checks, Credit Cards, and Paypal. Yes. You may upgrade or downgrade to any package. A prorated charge will be reflected on your next monthly statement. MIBDesign makes it easy to get your business on the map. If you currently have a website, it may be missing key data that is vital for a successful website. We work closely with businesses to strategically work towards the goals necessary to have a functional website. Having a website is crucial for businesses since most of the traffic is now referred by online searches. If a business is not listed then it is missing important exposure that would, otherwise, come from having a great website. Yes. We have expanded to include services throughout the United States. Although a face-to-face consultation may not be possible at this time due to distance, every tool (whether you decide to build yourself or not) is provided to move forward. An initial consultation may happen over the phone, online, or through email communications until your requirements are met. Yes. At this time, our merchant partners include Paypal. Any other payment service would need to have the option of embedding HTML code to the site. Please visit Paypal and/or Google Wallet to learn more about their merchant programs. SEO, or Search Engine Optimization, is the process of increasing visibility of a website in search engines. Higher ranked websites are located at the top of the search based on the inputted key words used to make the search. We make it easy to add these keywords to your site so that they may trigger more views to your page and, thus, increase its search rank. Please contact us to learn more.